Did you know that my casserole carriers are my most popular TaylorMade craft ever? It’s true, they have more views, comments and “pins” than any other craft every single month. I also get many emails every week asking about them. So naturally, it is kind of a go to gift for me- I like to make them as a wedding gift or a Christmas present. But what if the recipient doesn’t need a whole casserole? 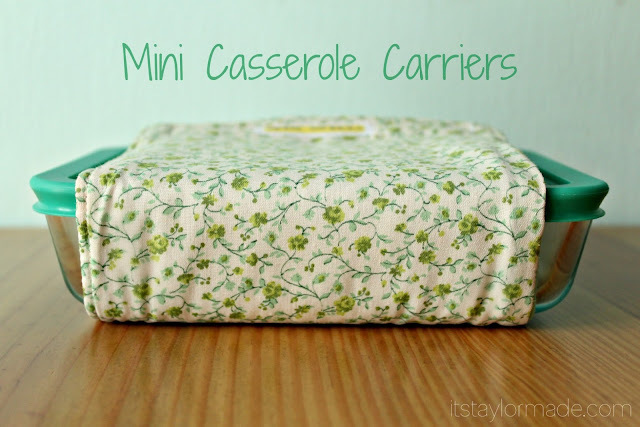 They are only one person and they just want to take their lunch in a cute little mini version… so I created the Mini-Casserole Carrier. It might even be cuter than the original. Why is everything cuter if its small? The cuteness started with this tiny little 3cup glass Pyrex dish I found, the perfect lunch size. 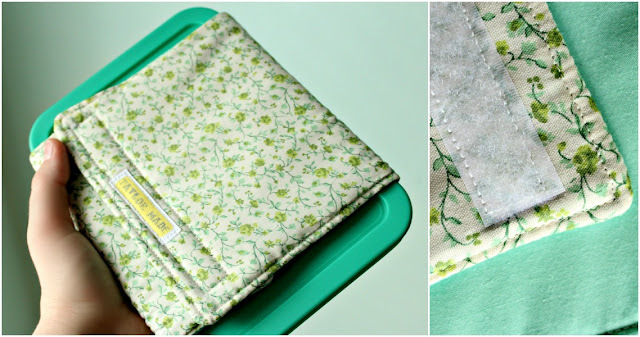 Cut both pieces of fabric and the insul-bright to 16 1/2″ x 6 1/2″. Put right sides of fabric together with the insul-bright on top then sew all the way around leaving an opening. Flip and top stitch all the way around. Then add the Velcro. I also added a TaylorMade tag. I also had to add the name to the Pyrex in tradition Casserole Carrier Style. I think that is why people love them so much. Just like on my other Pyrex dishes, I using etching cream and a vinyl stencil for the name. Find the originals here and here. I love this! I especially like how you added the name, and the small version for lunch is such a great idea. 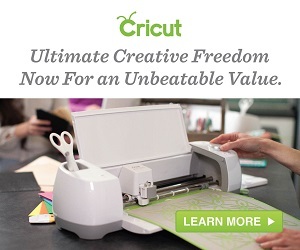 Newest follower from the GFC Blog Hop.Great diy! That might be the cutest thing I’ve ever seen! You’re right: if it’s small, it’s so so cute! I might have to make one of those now. I found you through the diy home sweet home linky party! What a cute idea! I just chatted with jamie from CRAFT and she told me you are roomies at blissdom–I just decided to go and excited to meet some new faces. She says you’re in houston–where? I grew up in Spring, now in Austin. Adorable, what a great idea! Thanks so much for sharing at Wednesday’s Adorned From Above Blog Hop. It’s in reality a great and useful piece of info. I am glad that you shared this helpful information with us.